Reporting on the development, Reuters said Mar 12 that the announcement came after its investigation revealed in Dec 2015 that China’s ruling Communist Party backed the Buddhist religious sect behind the protests that had confronted the Dalai Lama in almost every country he visited. Reuters further said it found that the sect had become a key instrument in China’s campaign to discredit the Tibetan spiritual leader. On its part the group did not give any reason for ending its public demonstration campaign against the Dalai Lama, or for disbanding itself. Reuters cited the Dalai Lama as saying, speaking on the sidelines of a media briefing in Geneva Mar 11, that he was aware of the decision by the ISC to disband. 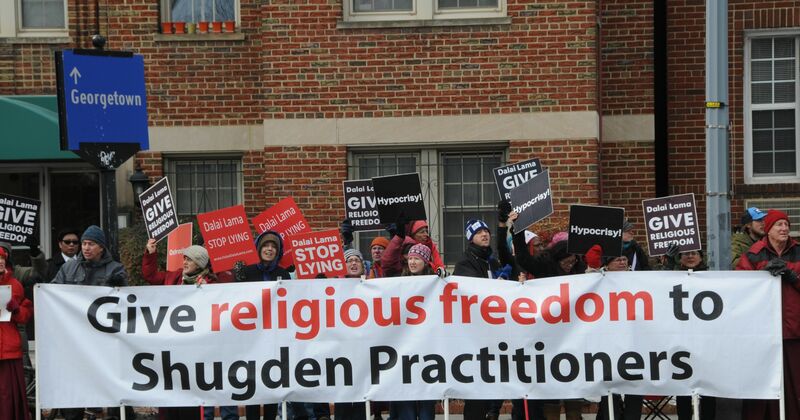 The group’s grouse against the Dalai Lama is the latter’s advice against worshipping a 17th century Tibetan spirit called Dorje Shugden, also known by its original name Dolgyal. The Dalai Lama has said Shugden is a malevolent spirit, that worshipping spirits is un-buddhist and that it is also a religiously divisive figure. However, Shugden worshippers contend that the spirit is an enlightened being and advising against worshipping it a violation of their religious freedom.